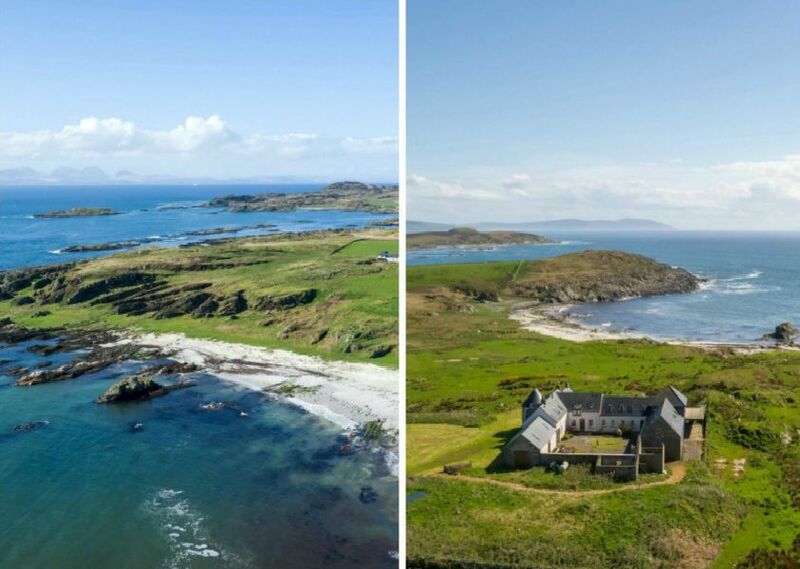 A farmhouse on a remote Scottish island has gone on the market with no neighbours, a lavish 17ft pool and views out onto the ocean. Leim Farm, on the Isle of Gigha, Argyll and Bute, has a library and a games room, as well as an exercise pool with a sauna. Only 160 people live on the idyllic island, the southern most island in the Southern Hebrides. The tiny island is only seven miles long, and 1.5 miles across at its widest point. The modernised house is on the market for offers over £775,000, and estate agents selling the six-bedroom home through RightMove suggested it could be used as a posh B&B. The converted farmhouse on the remote Isle of Gigha has gone on the market with views of the ocean and a library and a games room. The tiny island is only seven miles long, and 1.5 miles across at its widest point. Light aircrafts can land close to the house, with a 720m airstrip nearby, but a ferry transports 12 cars at a time from Tayinloan on the mainland. Mod-cons include a Jacuzzi bath in the family bathroom, and a screen, projector and surround sound system in the living room.